Sought after for their purity, their elegant design and guaranteed quality, American Gold Eagles are among the most popular bullion coins for investors with Precious Metals IRAs. You have probably seen American Eagle coins advertised in television commercials or on the internet, but today I wanted to go a little more in depth on exactly why these particular coins are so unique and valuable. All 4 weight denominations of American Gold Eagles contain 22-karat gold. #1 – Gold Eagles are the only IRA-eligible gold bullion with less than .999 millesimal fineness. Typically, the IRS mandates that only 24-karat gold coins (0.999 millesimal fineness) are allowed inside of a Precious Metals IRA. The only exception? American Gold Eagle coins. American Gold Eagles are composed of an alloy that uses 22-karat gold (0.916 fineness), with the traces of both silver and copper to increase the wear-resistance of the coins. This unusual exception is most likely owed to the fact that American Eagle coins are the official bullion coins of the United States government. The lower gold content makes American Gold Eagles sturdier, and usually results in their being sold with a lower premium over the spot price of gold than other IRA-approved coins. #2 – Gold Eagle coins must only contain gold that was sourced within the United States. 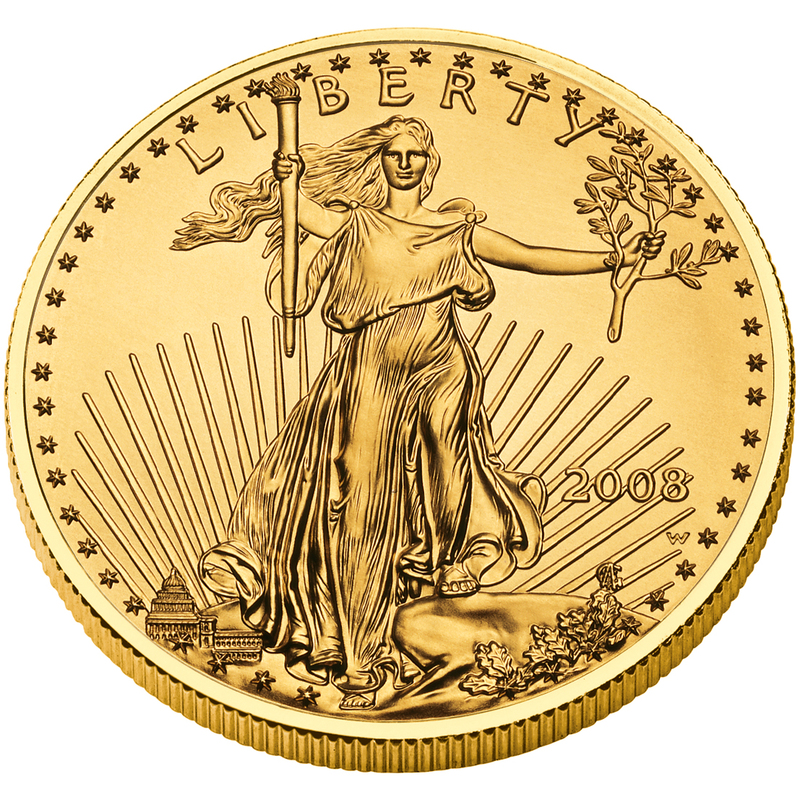 American Eagle Gold coins were introduced in 1986 through the Gold Bullion Coin Act. One of the parameters of the act – still valid law today – states that these coins must only include metal from domestic sources. There are no possible exceptions to this legal requirement. For some investors, there is real value in knowing that the official gold bullion coin of the United States is minted using gold that has been mined by Americans inside of US borders. #3 – From 1986 – 1991, American Gold Eagle coins included a minting date written in Roman Numerals. Augustus Saint-Gaudens' famous ‘Liberty' image. The US Mint has a long history of replicating design features from Roman and Greek coins, and this carried over to the initial production of Gold Eagles. The minting date – an important feature of authenticity as well as a valuable mark for numismatists – was reflected in Roman Numerals on American Gold Eagles during the first six years of their creation. Beginning in 1992, the mint year has been reflected in standard Arabic numbers. #4 – Gold Eagles feature the same image as the “Double Eagle” coins that were minted between 1907 – 1933. The American Gold Eagles take a lot of inspiration from the official US gold coins that preceded them. One notable commonality is the use of Augustus Saint-Gauden’s depiction of Lady Liberty. The “Double Eagle” coin was the official gold bullion of the United States for 27 years, introduced by Theodore Roosevelt in 1907 and stopped by Franklin Delano Roosevelt during the Great Depression. The “Liberty” design is one of the most iconic sights in American bullion. Be sure to check out this quick post about Precious Metals IRAs. 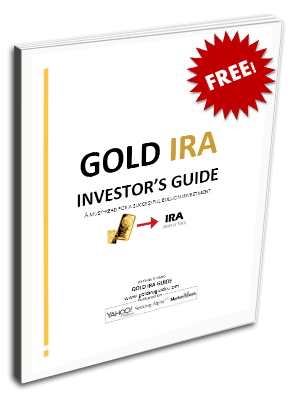 Fill out the form below to receive your Free Investor’s Kit and learn more about investing in American Gold Eagle coins and other IRA-approved precious metals. This kit is provided by Regal Assets, our #1 ranked precious metals IRA company for 2014. View our full rankings of over 70 different companies here.